The Yuletide holidays are the best – and the busiest – time of the year. From gift-giving to countless parties, we never run out of ways to celebrate the festive occasion. And as tradition dictates, the holidays won’t be complete without the familiar flavors of Filipino comfort dish favorites. 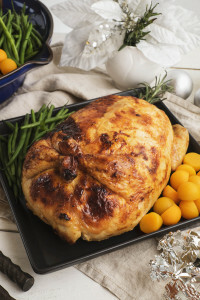 C2 Classic Cuisine’s special holiday take-out party dishes, gives just the right touch of homegrown and familiar comforts. 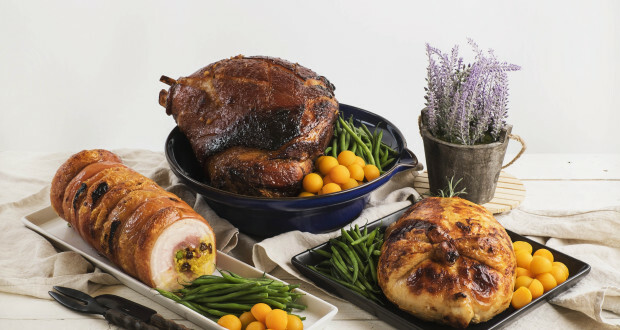 Whether it be a Noche Buena or Media Noche meal among family or an intimate get-together among close friends, these holiday dishes is perfect for the season. For at-home and office celebrations, C2 offers perfectly-sized party dish trays for you to feel the Season of Giving and Sharing. This year’s highlight menu offerings will definitely be the highlight of your party table. 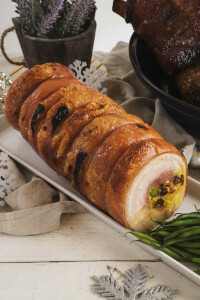 Try the Traditional Boneless Chicken Galantina (a traditional holiday favorite made of rolled chicken stuffed with olives, sweet ham and chorizo de bilbao), Christmas Home-made Glazed Ham with Pineapple and the Crispy Pork Belly Roulade with Arroz Valenciana, a modern version of lechon only made better! Of course, don’t miss the famous C2 Kare-Kare with its crunchy goodness and flavorful peanut sauce. Apart from these favorites, holiday revelers can also dine in the restaurant and gather the family and friends for a bonding celebration. Partake C2 restaurant’s other delectable modern renditions of classic Filipino specialties like Seafood Inasal, vegetable dish Gising Gising, Batangas Bulalo, and Bam-i. Don’t miss the Bibingka Souffle, a one-of-a-kind dessert made famous at C2. And to add a sweet Pinoy touch to the holidays, available for pre-ordering are Special Mango Bars (made from pieces of dried mangoes from Cebu and roasted cashew nuts from Palawan which are embraced in a rich, buttery batter then baked to a light golden caramel), Calamansi Bars (composed of a tart and chewy calamansi custard filling over a buttery shortbread crust) and Cacao Nib Brownies ( rich and decadent brownie topped and combined with dark chocolate chunks and perfectly roasted Philippine Cacao Nibs). 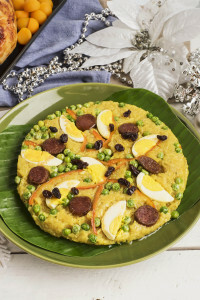 There’s no better way to enjoy a Pinoy-style Christmas than to start early. Plan your holiday celebrations ahead by calling in your reservations and advance orders at the following C2 Classic Cuisine outlets: The Ledge at Shangri-La Mall (636-1510); Wharf The Lakefront, in Sucat (551-0447); Missouri Street in Greenhills, San Juan City (726-2712) and Summit Circle, in Cebu City (032 239-3000). For updates, like its official Facebook page and follow via Instagram and Twitter (C2.Philippines).